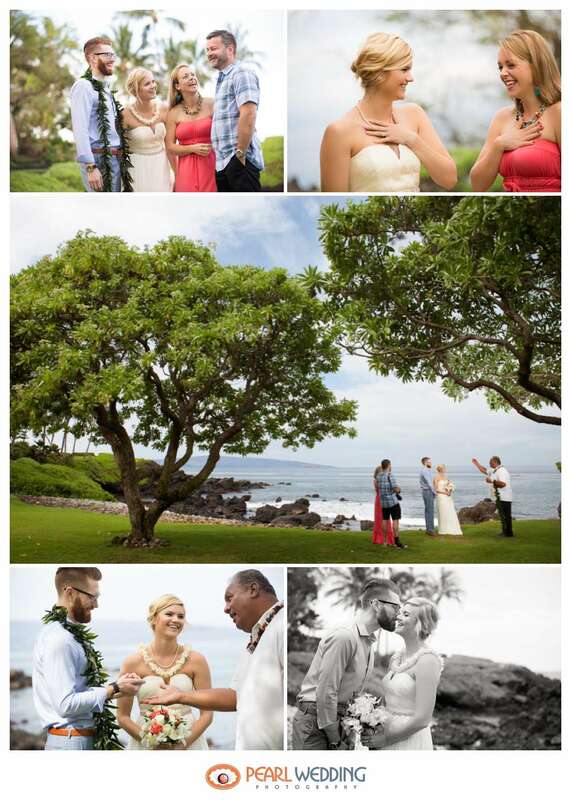 Bo and Patrick had an intimate and special wedding perfectly coordinated by Makena Weddings with their two closest friends in attendance. Coordinator Laurie Terry arranged all of the details for a beautiful morning wedding with Al Terry officiating at Kukahiko Estate. The officiant added a personal, touching and even funny temperament to the wedding. The ceremony is the most important part of the day and I am so glad I could help capture their day on film. 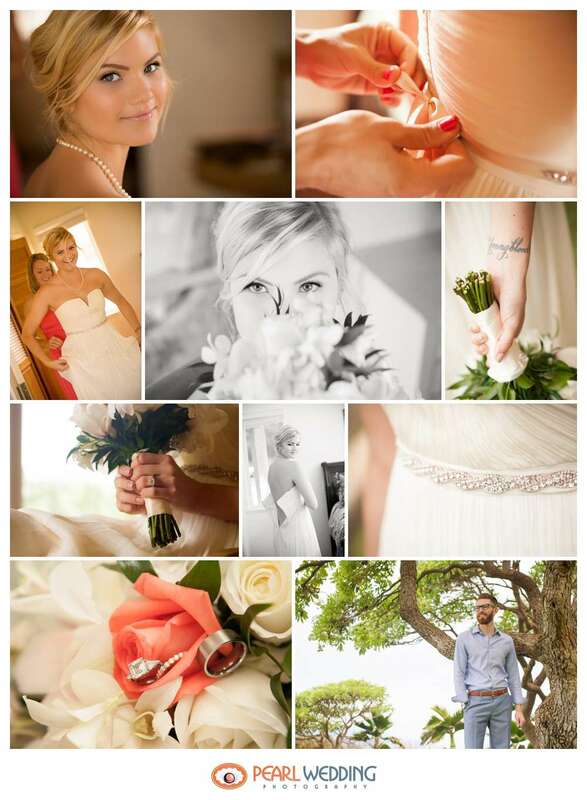 The Kukahiko Estate is the perfect place for a morning wedding. With nice shady spots to settle into and some of the best views on Maui. 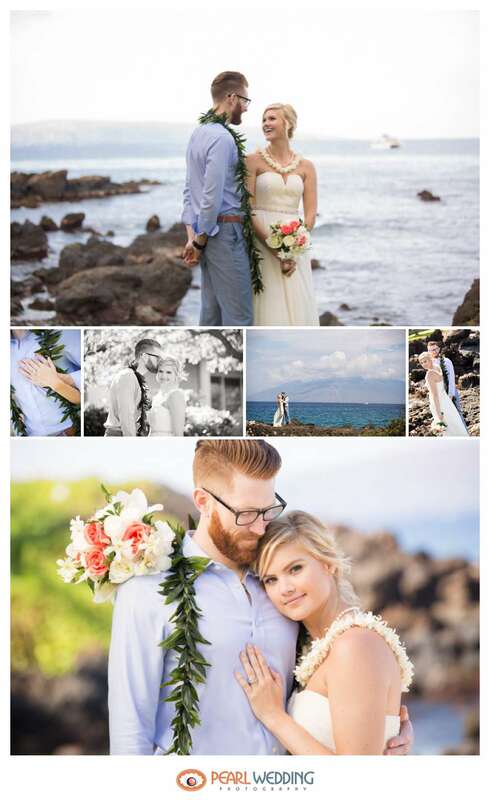 We loved walking with the couple out onto the rocks for the gorgeous backgrounds. We just posted Bo and Patrick’s full wedding album to the “Gallery” section of our website, we are excited to share the event! Superb photography. I like how you positioned both of them, the color and contrast. Nice image composition. Congratulations, great photos!